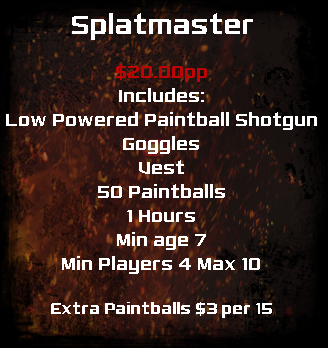 Get ready for total immersion, online bookings, the ultimate hire gear, top of the line tournament grade paintballs, a large comfortable staging area for safety briefings and even... get this...indoor plumbing! 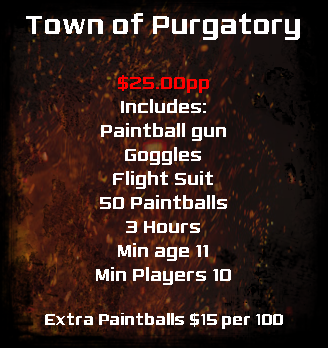 ARMAGEDDON Paintball has created the ultimate experience in Paintball excitement...semi-automatic havoc...from the games you play, to the fields you play on, the town of Purgatory, an apocalyptic town's ruins of dozens of burned out buildings, cars, street lights creating the eeriest of landscapes. 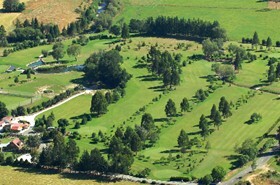 The Golf Course is in the beautiful Wai-iti Valley where you can appreciate the peace and quiet of the countryside. It has splendid scenery and is rich in bird life. Water is a big factor all round the course. Not only do you have to conquer the many water traps but ther are also some very tricky greens to overcome as well. If you are looking for easy greens there are a couple but the majority are undulating.Our signature hole is a par three island green, Devil's Island.This is the only one of it's type in New Zealand. 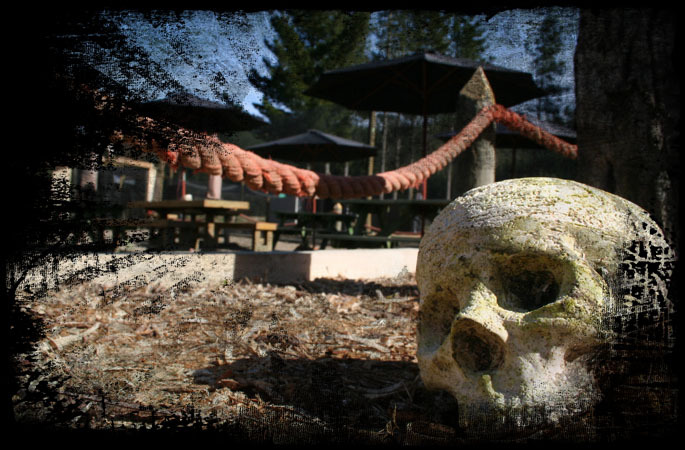 ARMAGEDDON Paintball Staging area is a comfortable large staging/briefing/kit up area for assembling your equipment, planning with your team before deployment and relaxing after a mission with enough room for a army of family and friends to relax in while you are playing. 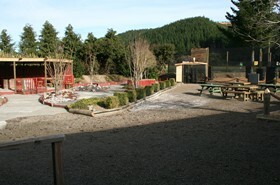 A fully licensed cafe with a great outdoor garden bar perfect to relax and enjoy a cold beer or barista coffee. All food is made onsite by our fully qualified chef. 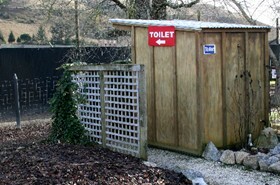 One Shot Cafe can be made available for any function, corporate, stag do's, big or small. 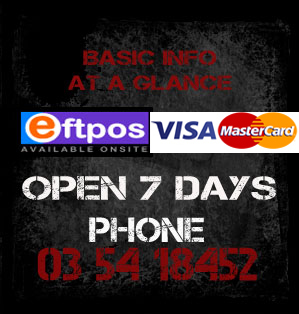 Packages are available on request ..... we also offer an Xbox 360 for gaming on in the cafe. 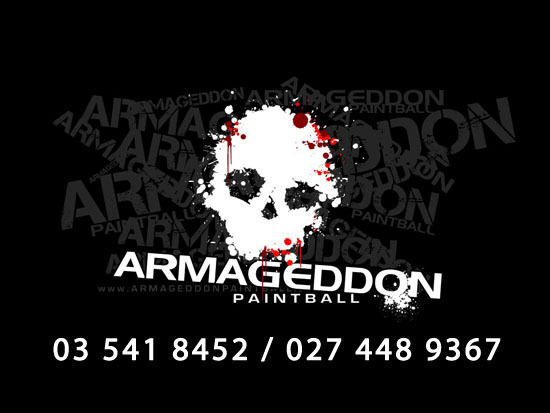 ARMAGEDDON Paintball is the only field in nelson to offer all its players indoor plumbing!